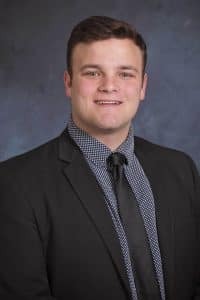 Thaddeus Richard, a psychology senior from Eunice at McNeese State University, has been recognized as the national student of the year by Pi Kappa Phi Fraternity. Richard is the 2018 recipient of the Dr. Phillip M. Summers Student of the Year award that is presented to one student among the 187 national chapters who demonstrates leadership and commitment to his chapter, university and community. He is past president of Beta Mu chapter of Pi Kappa Phi fraternity, past president of the Greek Unity Board, past treasurer of the Student Government Association and a Blue and Gold Peerleader. Last spring, he was selected as Mr. McNeese. 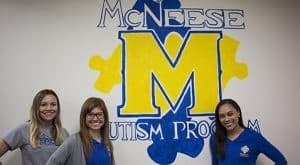 Heidi Zaunbrecher, a McNeese accounting and management senior from Hayes, has received a $10,000 national merit-based scholarship from the Public Company Accounting Oversight Board in Washington, D.C. The PCAOB is a nonprofit corporation established by the U.S. Congress to oversee the audits of public companies. The PCAOB scholarship program provides financial assistance to future accountants and encourages these recipients to pursue a career in auditing. 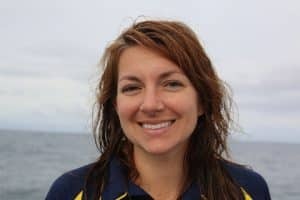 Dr. Amber Hale, assistant professor of biological science at McNeese, was selected for a third straight summer to sail aboard the exploration vessel, the Nautilus, operated by the non-profit Ocean Exploration Trust, which has oceanic study and exploration as its main focus. Hale was one of 21 educators from around the nation selected to survey Canadian seamounts – hotspots for corals, sponges and sea creatures off the coast of British Columbia. Once again, she served as lead science communication fellow. Hale was responsible for training first-time communicators, as well as acting as a mediator between the Nautilus’ expedition leader, the lead scientist and the training communicators to share the knowledge gained from their expeditions to wider audiences. 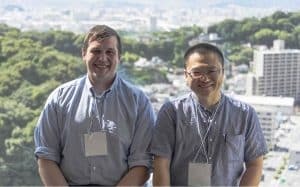 McNeese engineering major William Dever, of Sulphur, and Dr. Zhuang Li, professor of mechanical engineering, recently presented results from a research project focused on atmospheric temperature, pressure and humidity at the 25th International Congress of Sound and Vibration at Hiroshima, Japan. 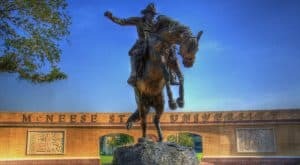 The project, “Design of Balloon Payload to Measure Speed of Sound Profile as a Function of Altitude,” was based on data collected by a McNeese student engineering team – of which Dever was a member and Li served as faculty adviser – that won a state balloon project competition funded by NASA. As winners, the team participated in the NASA-sponsored, real-time scientific study of the solar eclipse that took place in August 2017. This research presentation was based on the data the team collected. 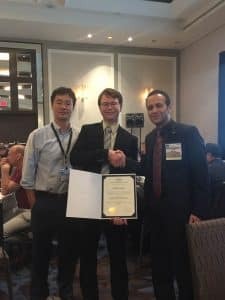 McNeese engineering major William Foltz, of Lake Charles, received the 2018 Best Graduate Student Paper Award at the international conference of the American Society of Mechanical Engineers 5th Joint U.S.-European Fluids Engineering Division Summer Meeting in Montreal, Canada. His paper, “Numerical Analysis of the Turbulent Flow Characteristics Around Submerged Permeable Breakwater,” was based on research of fluid flow on submerged breakwater structures conducted with Dr. Ning Zhang, professor of mechanical engineering. He competed primarily against doctoral students from leading research institutions from around the world. Foltz was also named a 2018 Graduate Student Scholar and received a $1,500 scholarship. In addition, he will serve one year on a committee that tracks the future trends and emerging areas in fluids engineering.